Below is a sampling of grants awarded in 2013. Additional grantmaking activities may be reflected on the foundation's form 990-PF. 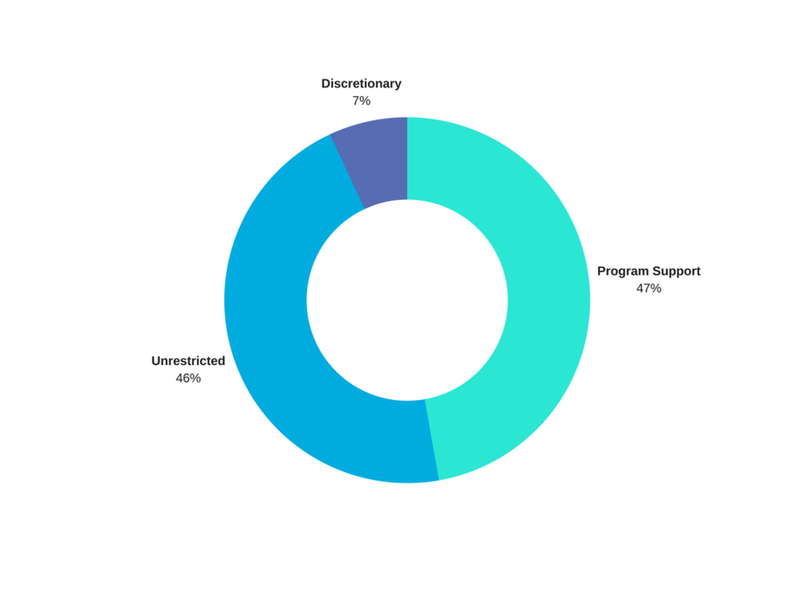 This list, however, is representative of the grants approved by the board as a whole (exclusive of discretionary gifts) and is an accurate representation of our grantmaking priorities for 2013. Anne Arundel Medical Center (Annapolis, MD) - $1,500, Support for Pathways Alcohol and Drug Treatment Center: Open 24 hours a day, seven days a week, the Pathways 40-bed freestanding complex is dedicated to providing compassionate, confidential inpatient and outpatient care for teens and adults who suffer from drug and alcohol use, and patients who suffer from a combination of substance use and mental health problems. Creating Communities Corporation (Annapolis, MD) - $30,000, Multi-year General Operating Support: Creating Communities offers innovative Life Skills Through the Arts programs to Title I elementary, middle and high school students from low-income families in Annapolis and Anne Arundel County. Dyslexia Tutoring Program (Baltimore, MD) - $2,500, General Operating Support: The Dyslexia Tutoring Program teaches low-income children and adults with dyslexia or a language-based learning disability to read through a professional screening assessment and tutoring by volunteers trained in The Orton-Gillingham method of reading, writing, and spelling. Enoch Pratt Free Library (Baltimore, MD) - $1,500, General Operating Support: The Enoch Pratt Free Library serves the residents of Baltimore with locations throughout the city, and the residents of Maryland as the State Library Resource Center. Their mission is to provide equal access to information, services, and opportunities that empower, enrich, and enhance the quality of life for all. Mariposa Parent Training Program (Baltimore, MD) - $3,000, General Operating Support: Mariposa Child Success Programs, originally The Institute for Family Education, was established in 2002 as a non-profit organization. IFE’s initial programming was focused on improving intra-family relationships. Recognizing how much time children spend with other adults at schools and in other settings, IFE expanded into providing workshops for childcare professionals, therapists and teachers. In doing so, IFE found that training parents, teachers, and counselors in parallel provides improves everyone’s effectiveness in fostering healthy growth in children.